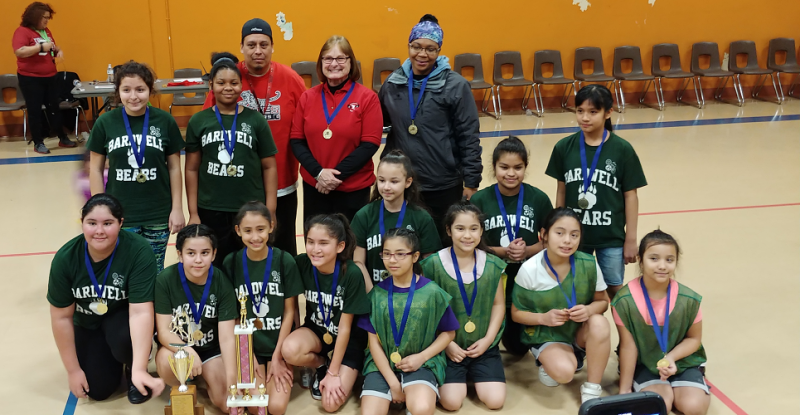 District 131 - Bardwell girls basketball team wins district championship! 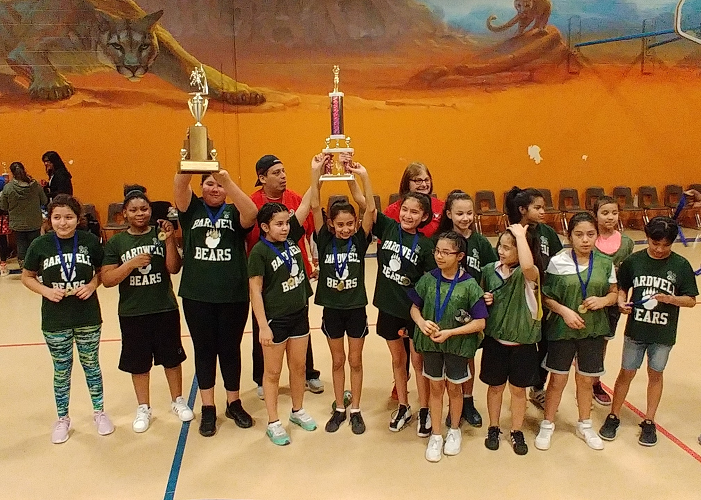 Bardwell girls basketball team wins district championship!Bardwell girls basketball team wins district championship! 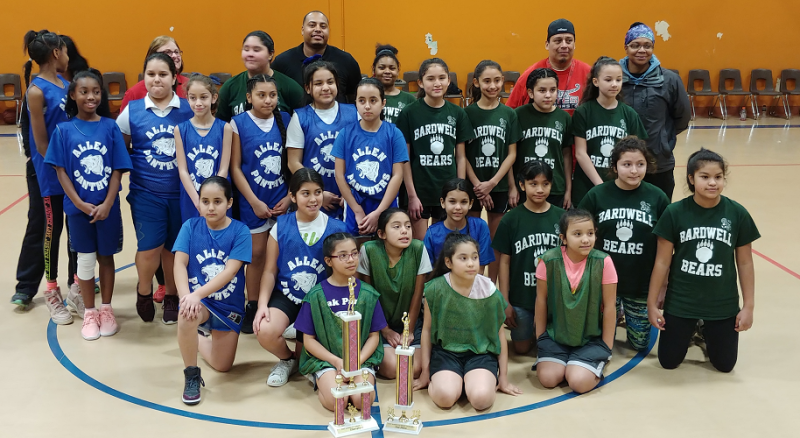 Bardwell’s girls basketball team came out on top this past weekend when they claimed the district 131 elementary girls basketball championship on Saturday, February 9, 2019. 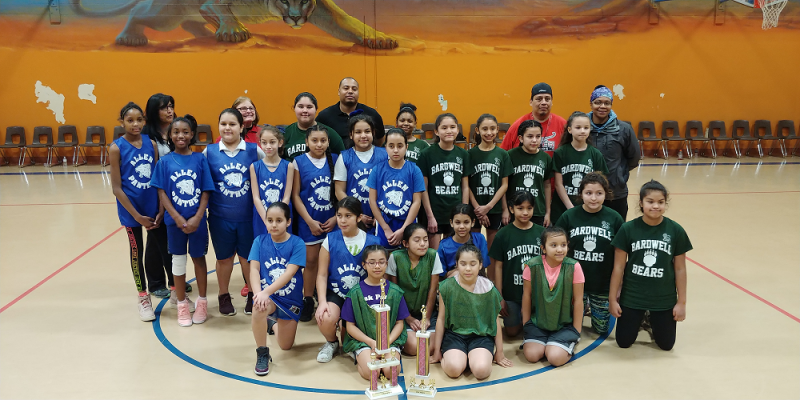 They capped off an impressive undefeated season by defeating Allen Elementary School in the final game of the tournament with a score of 11-8. 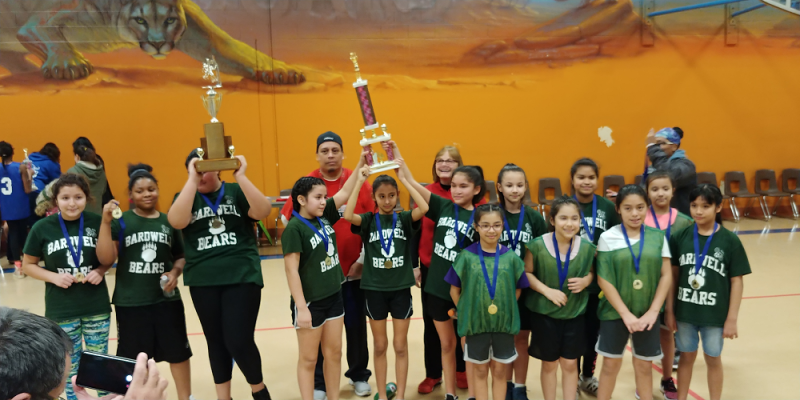 Coach Bonnie Keller gushed with pride over the intercom today saying, “The girls worked together with incredible teamwork.” Way to go Bardwell Bears!